Rachel Zimm: Hello 2015 + the “Every Girl” link-up series! Happy 2015 to all of you! On New Year’s Eve, our friends Emily and Andy stopped by on their way home to Maine. We haven’t seen them in a year-and-a-half, so it was wonderful to catch up! Emily was one of my college roommates, and she is a complete joy to be around. She and Andy brought their new 6-month-old Westie named “Rudder” with them, and puppies are certainly a weakness of mine :) We feasted on our favorite take-out pizza and watched a marathon of Duck Dynasty before we fell asleep slightly before midnight. We are happy to be their hotel anytime they want! He is constantly asking me to “talk to” his toys (aka role-play with the cars) and talk to his books (read them aloud). Everything is either, “That’s my favorite!” or “That’s not my favorite.” All day long. Since Ephraim was born, we get plenty of comments about how they either look just like brothers, or how they don’t look anything alike. I think at this stage—they are really similar, except for the difference in eye color. They’re just the cutest! 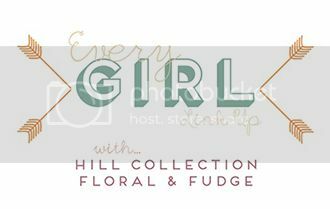 I am very excited to announce a new link-up series I am hosting this year with Astleigh from Hill Collection. Astleigh is an inspiration for me—I am always impressed at the work she does, and I’m blessed and humbled that we get to start this series together! We’re calling it the “Every Girl” series. We’ll be talking about all kinds of fun, feminine topics, and we hope that you (those of you who blog) will join us! If you love decorating your home for the different seasons, if you’re into fashion, recipes, and DIY projects, we can’t wait to see what you have to share! 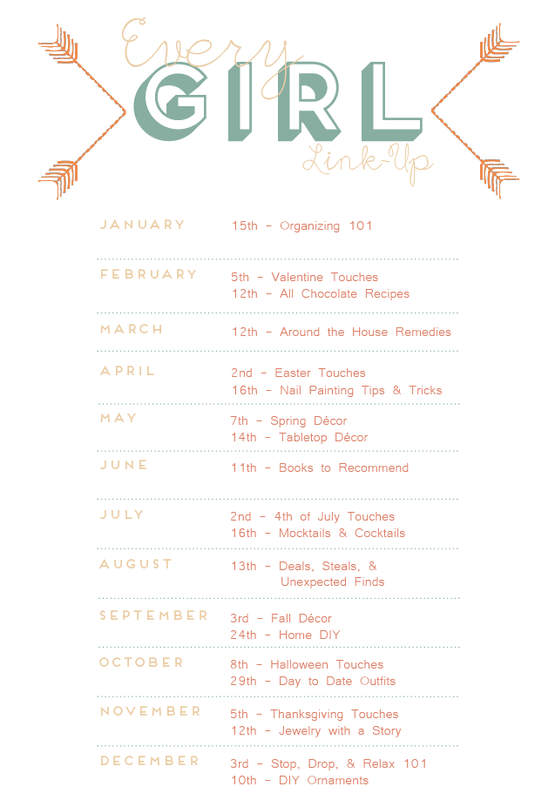 Our first link-up with be next week on Thursday the 15th, and we're sharing the ways we organize best (the little and big tips and tricks) around the house and in our personal lives. All you have to do is write on the topic, grab our graphic below, and link up! That’s about it for now. . . feel free to post any questions about the link-up in the comments below! Yay! Great link up ideas! Wonderful series ideas!! I'm so looking forward to linking up with Every Girl link up! I love this! Seems like so much fun! Sounds like a wonderful way to ring in the new year with good friends! And I have noticed more recently the boys are looking a lot like each other :) Cute! Love the link up series too! Just now getting caught up on my reading blogs. I love hearing that Nolan has such phrases. Everything is "oh I love that" or Oh I don't like that" here. E general LOVES K-Mart and asks to go everyday. We are not sure why but we went there the day after Christmas and he hasn't stopped talking about it ! It's so cute how they are in the "pretend" stage... SO fun !!! We play pretend doctor a lot lol. And he says bye house be good when we live along with so many other things because we always tell Jake to be good... Oh my our boys are growing up too fast. This post makes me realize how long it's been since we have visited :( Your link up is adorable ! Best of luck.